This is one of the most interesting whiskies I've ever come across. A straight corn whisky (rare), finished in peat casks (rare, if not the only American to do so yet), and port casks. The only thing mildly in the category is High West's campfire, but even that is quite a bit different. One of the most unique noses I have encountered. Sharp, smoky wood, sweet fruits, sharp mineral notes, crushed glass, caramel, and corn. Very complex, and very interesting. The palate is full of that sweet, smoky character with lots of vegetal character, including milkweed and dandelion stems (very interesting!). 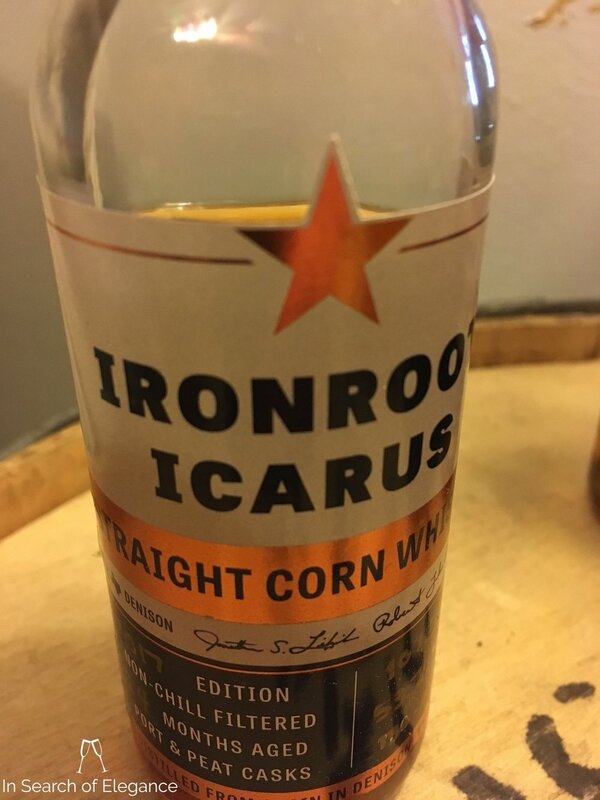 The complex underlying corn distillate character is present, too – as seen in their Hubris bottling. The finish has rancio, smoke, oak, and corn. The closest thing to this is High West’s campfire, but they are very different in terms of casks and distillate, so it is a weak comparison – but there are just not many spirits in this category. Quite nice at the release strength – and the complexity and intrigue is brilliant. However, it is slightly out of balance – the rich fruitiness of the port combined with a light sourness means I enjoy one dram, but probably won’t reach for a second. Regardless, I view this as a very interesting whisky for pushing the limits, and, again, very complex and interesting.